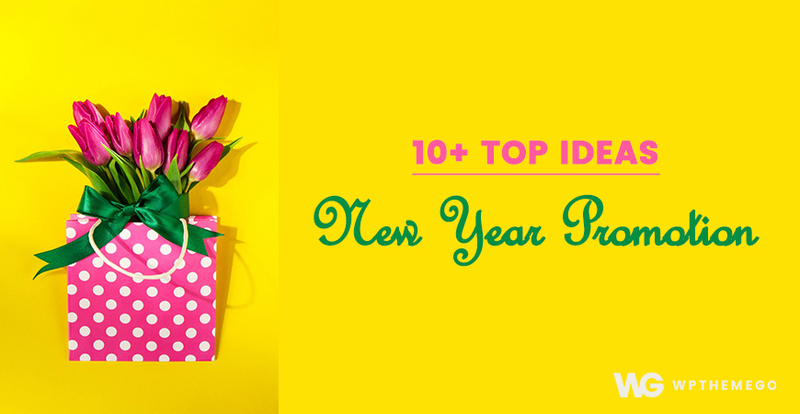 Envato can be said as the most famous marketplace for premium WordPress themes. Also, when purchasing a theme here, user can get the updated versions of the theme for lifetime without paying any other fee. Now, with the birth of Envato Market Plugin, it lets you keep updated with the theme purchases right in your WordPress Dashboard. What is Envato Market Plugin? 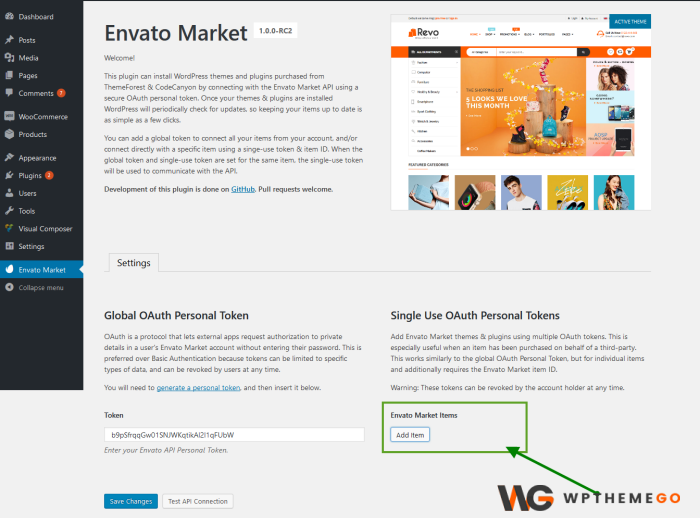 The Envato Market plugin is the one can help you to install WordPress themes and plugins purchased from ThemeForest & CodeCanyon by connecting with the Envato Market API using a secure OAuth personal token. 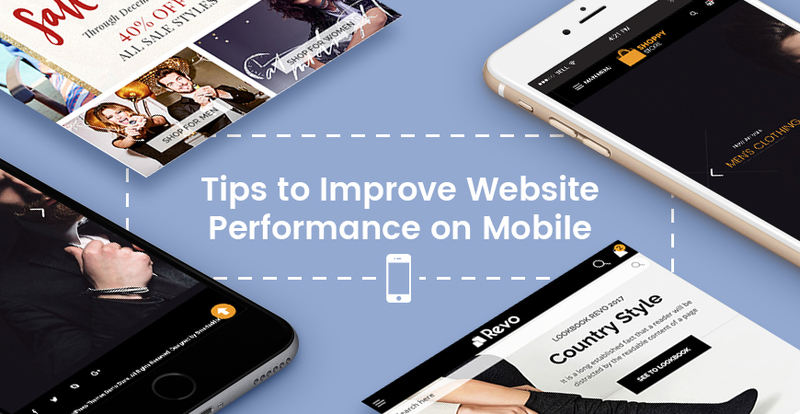 Once your themes & plugins are installed, your site will periodically check for updates, so keeping your items up to date is as simple as a few clicks. Firstly, you need to download the plugin into your computer. Please direct to Envato GitHub and click on Download.Zip button to get it. Now, in your Admin Panel, go to Plugins > Add New and click on Upload Plugin then navigate to envato-market.zip file that you downloaded from Github, choose Install Now to install it. After that, click Activate Plugin link to activate the plugin in your site. 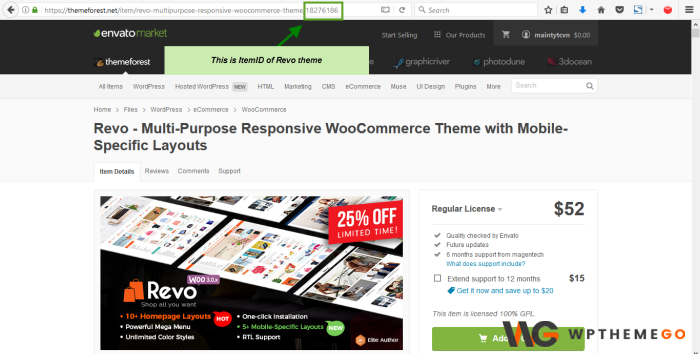 Now, you will see a new Envato Market menu item in your WordPress Dashboard. 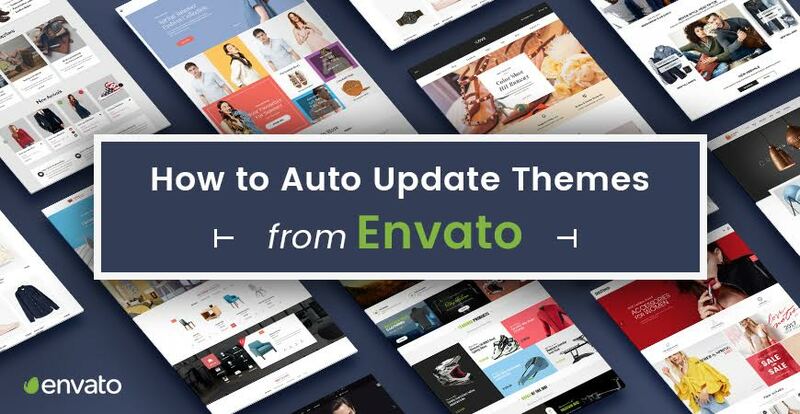 To have access to all your purchased and update items, you need to sync the plugin with your Envato account. In the Admin Panel, click on the Envato Market menu item then click on generate a personal token link to create an Envato API token. After logging in your Envato Account, you can see a window with permission request of the plugin to access via your Envato account. Let’s insert your Token name, check the options you want and click to agree to the Term and Conditions and choose Create Token button to create your token. Once the token is successfully created, copy and save it for later use. The Envato do NOT store it. Then click white button to confirm that you got it. Now, back to your WordPress installation and insert your Envato API token and choose Save Changes. After that, you can test the connection by using button Test API Connection. When you first enter the token, there is notice that “You do not have sufficient permissions to delete transients.”. But don’t worry, the system take a while to process and work normally. When your token is saved, and validated, the Envato Market landing page with your items will be shown. There will be tabs displaying all your themes and plugins’ information and author pages. 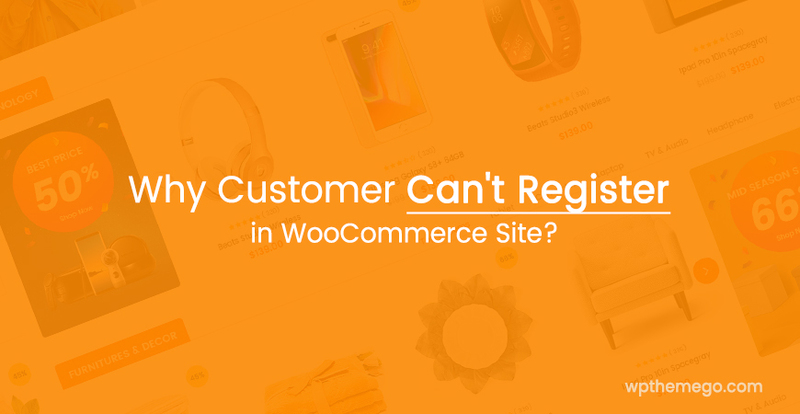 No web designer want to give clients access to all their purchases. Luckily, you can still use Envato Market plugin to keep clients’ sites up to date with Single Use OAuth Personal Tokens. 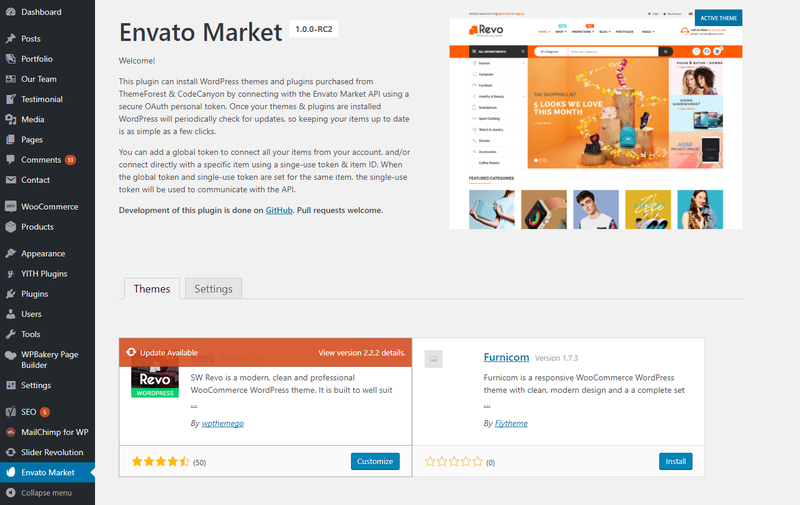 Install Envato Market plugin on your client’s site. Create a token by clicking on the generate a personal token link and make a copy of it. Locate the Item ID for client’s item by copy the numerical ID at the end of item’s URL on Envato. Navigate to Envato Market page within client’s site, click on Add Item button and enter your Envato Token and the item ID into the popup. After the item was saved and validated, the WordPress installation will only show the items (and related updates) that you have added. You can do the same if there is too many Envato purchases in your WordPress site over years to receive only updated items you’re currently using. After the Envato Market Plugin was successfully synced to your site, all your purchased update information will be right in your site. When there is any update available for these item, a notice will be shown. In addition, you will see the notice on the core WordPress update page in Dashboard > Updates. To update Envato item using Envato Market Plugin, you just need to click on Update Available link in the update notice. After that, the process will be automatically performed. When it is complete, you will see a green notice “Updated!” and that’s done! Once the updates are available, you can see them right from the dashboard. For themes not integrated with Envato Market Plugin, the update process should be as normal: update via FTP or update via WordPress Admin Panel.